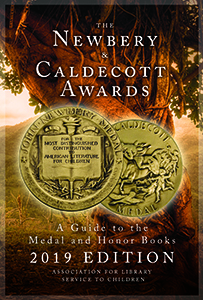 "The Newbery and Caldecott Awards: A Guide to the Medal and Honor Books, 2019 Edition"
"The Coretta Scott King Awards: 50th Anniversary"
CHICAGO — Updated with the 2019 award and honor books, “The Newbery and Caldecott Awards: A Guide to the Medal and Honor Books,” published by ALA Editions, gathers together the books deemed most distinguished in American children's literature and illustration since the inception of the renowned prizes. CHICAGO — The Eliza Atkins Gleason Book Award Committee of the American Library Association (ALA) Library History Round Table (LHRT) is pleased to present the 2019 Gleason Book Award to Wayne A. Wiegand, F. William Summers Professor of Library and Information Studies Emeritus and professor of American Studies at Florida State University, and Shirley A. Wiegand, professor Emerita of Law at Marquette University, for The Desegregation of Public Libraries in the Jim Crow South: Civil Rights and Local Activism (Louisiana State University Press, 2018). 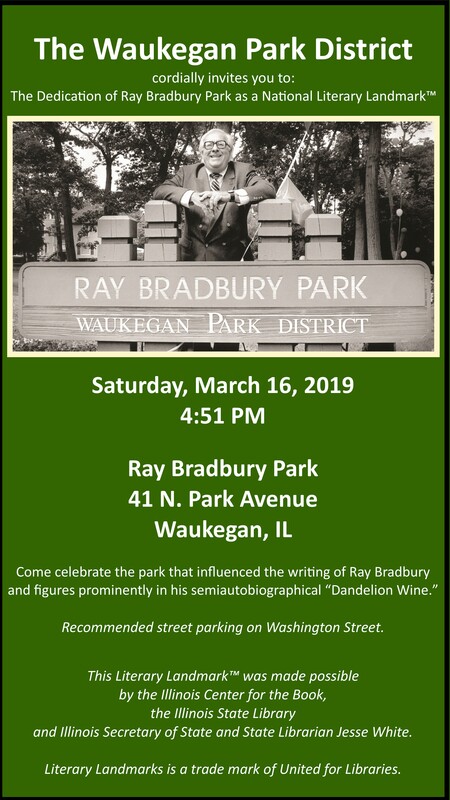 WAUKEGAN, Illinois — United for Libraries, in partnership with the Illinois State Library and Illinois Center for the Book, will designate Ray Bradbury Park a Literary Landmark on Saturday, March 16. The unveiling ceremony, set to begin at 4:51 p.m. in honor of Bradbury’s novel Fahrenheit 451 (1953), will take place in Waukegan, Ill.
CHICAGO — The Association for Library Service to Children (ALSC), a division of the American Library Association (ALA), and its Notable Children's Digital Media committee, are pleased to announce the 2019 list of outstanding digital media for children. The list includes real-time, dynamic and interactive media content for children 14 years of age and younger that enables and encourages active engagement and social interaction while informing, educating and entertaining in exemplary ways. CHICAGO — The Association for Library Service to Children (ALSC), a division of the American Library Association (ALA), has selected its 2019 list of Notable Children’s Books. CHICAGO — The Association for Library Service to Children (ALSC), a division of the American Library Association (ALA), has selected its 2019 list of Notable Children’s Recordings. The list includes recordings for children 14 years of age and younger of especially commendable quality that demonstrate respect for young people’s intelligence and imagination; exhibit venturesome creativity; and reflect and encourage the interests of children and young adolescents in exemplary ways. SEATTLE - Two of the 2019 Stonewall Book Awards were announced Sunday, Jan. 27th by the Gay, Lesbian, Bisexual and Transgender Round Table (GLBTRT) of the American Library Association (ALA), during the ALA Midwinter Meeting and Exhibits, held Jan. 25-29 in Seattle, Washington. Chicago -- The LITA Committee Recognizing Excellence in Children’s and Young Adult Science Fiction presents the 2019 Excellence in Children’s and Young Adult Science Fiction Notable Lists. The lists are composed of notable children’s and young adult science fiction published in 2018, organized in three age-appropriate categories. The annotated lists are posted on the Science Fiction Notables website. SEATTLE - M.T. Anderson is the recipient of the 2019 Margaret A. Edwards Award honoring his significant and lasting contribution to writing for teens for “Feed;” “The Astonishing Life of Octavian Nothing, Traitor to the Nation, Volume I: The Pox Party;” and “The Astonishing Life of Octavian Nothing, Traitor to the Nation, Volume II: The Kingdom on the Waves” all published by Candlewick Press. The Young Adult Library Services Association (YALSA), a division of the American Library Association (ALA), announced the award today at the ALA Midwinter Meeting & Exhibits held Jan.